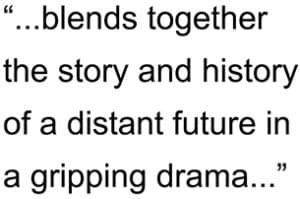 A new version of Mars Rising specifically tailored for Kindle devices is available for purchase from the Kindle Store. Be sure to check the online store in your country/currency (USA store available below). Humanity is isolated in its corner of the universe. The Sovereignty is an oligarchy ruling the planets and outposts in our solar system. It has endured for 1,000 years but the foundations of its society are crumbling, eaten away by corruption, excess, and personal ambition. A struggle for dominion of the Sovereignty leads to the ascension of supreme power for one whose eventual fall will plunge the Sovereignty into chaos and civil war. 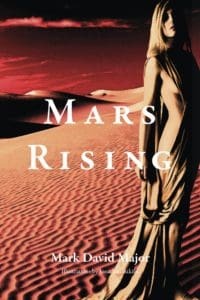 Narrated from the perspective of a historian looking back on events that occurred many years ago, Mars Rising blends together the story and history of a distant future in a gripping drama that chronicles the epic people and events, plots and betrayals, instigating the fall of the Sovereignty and the rise of an Empire. Mars Rising is a fast-paced, character-driven political thriller in the science fiction setting of our distant future, now with illustrations by Jonathan Atkins in a large print format. Please visit our page to see all available versions for Mars Rising here.